Iran defeated Singapore at the 5-6 classification game of the FIBA U-18 Women's Asian Championship 2018 on Friday. The Iranian team beat Singapore 63-51 at Division B at the Koramangala Indoor Stadium, Bangalore, India. Iran captain Fatemeh Aghazadegan Ghazvini with 29 points was the top scorer of the match. Esther Akinfiresoye Damilola Lim scored 14 points for Singaporean team. The top placed team from Division B will promote to Division A for the 2020 FIBA Asia Under-18 Championship for Women. The bottom-placed team from division A gets relegated to Division B for the 2020 championships. The FIBA U-18 Asian Championship comprises of eight teams each, in Division A and Division B. Teams from Division A compete for the title and to secure their qualification for the 2019 FIBA U-19 World Cup. 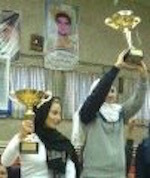 Palayesh Naft Abadan crowned Champions in Iran as they edged Sassan Kerman 65:44 in the decisive game of the final round. They grabbed a 26-10 lead at the end of the first period and led 24 points at the halftime. Sassan Kerman was too far to come back and lost 12-11 in the third quarter, while Sassan Kerman posted a 10-14 run in the last quarter but Naft Abadan sealed the victory on 65:44 and grabbed the title for the first time in history. 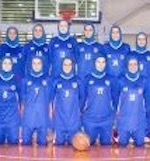 Zahra MortezaZadeh coached her team in a good way to have Nahideh Asadi with 14 points and Anis Moradi with 12 points and 14 rebounds helping Vladinka Erak's 16 rebounds to win the game. Bahman club could beat Gas in the other game of final round 72:45 and has a good chance to stand on 2nd place in last day of the final round. Iran superleague basketball season has Final Round which is between top4 teams and they play in one group, and Naft Abadan is the champion before the last day of series.